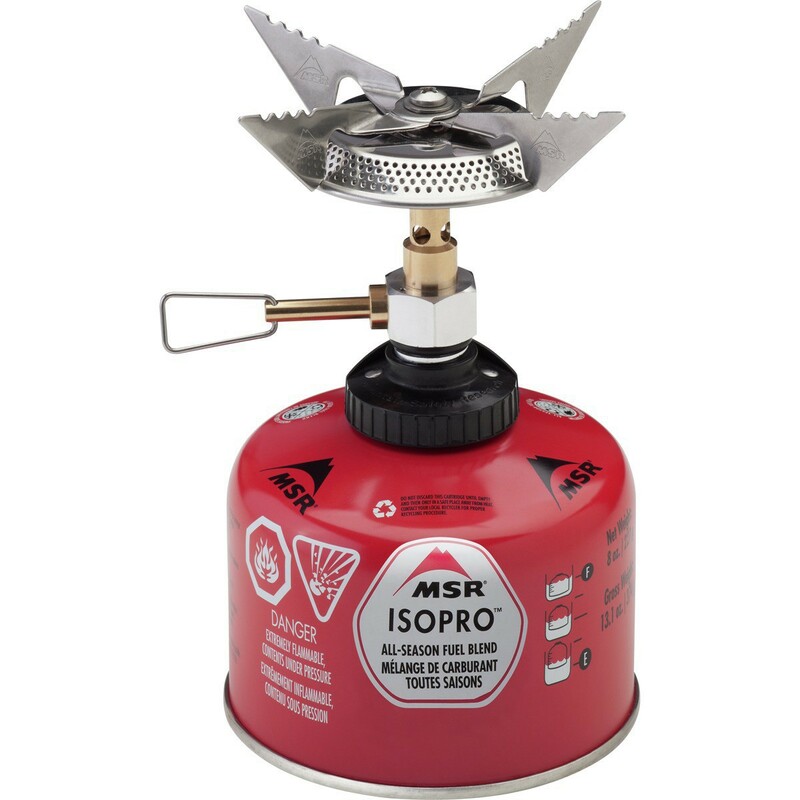 The gas stove MSR Superfly works with all existing screws cartridges on the market: Coleman, Campingaz International, Primus, Optimus ... and of course M.S.R. This is particularly interesting for travelers wishing to use around the world. Hikers will enjoy it for its relative strength and power. The Superfly is stable and usable with large litrage meals. It is designed for groups of up to 4 people. He has 4 arms folding serrated non-slip (which fold in pairs). The control valve is easy to operate even with gloved hands. Comes with a storage bag. 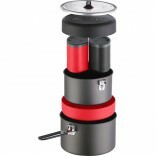 Weight of stove: 136 grams, storage pouch: 30 grams. 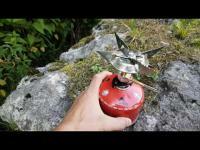 1 h for a canister 220 g.
- Fast: Boils 1 liter of water in 3 minutes. 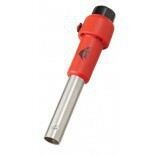 - Full Flame Control: Glove-friendly controls allow precise flame adjustment, from a simmer to a boil. 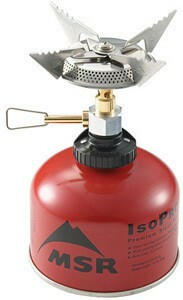 - Broad Flame: Disperses heat for better cooking performance. Can you tell me if a CV470 canister would fit with this MSR Superfly? 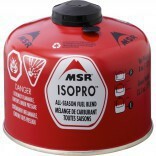 Yes, the MSR Superfly stove is compatible with Campingaz gas cartridges CV470.